Sashes are a great way to add an extra element of flair to plain chairs covers and tabletop décor. Our sash collection is ideal for weddings, parties, holiday dining and other special events. Please choose your color, and confirm your rental period. Edges are hand sewn to form an elegant look when tied into bow form. This Polyester Chair Sash offers an innovative solution for captivating the attentions and imagination. It’s elegant enough for any formal events and simple enough for a casual dinner or party. 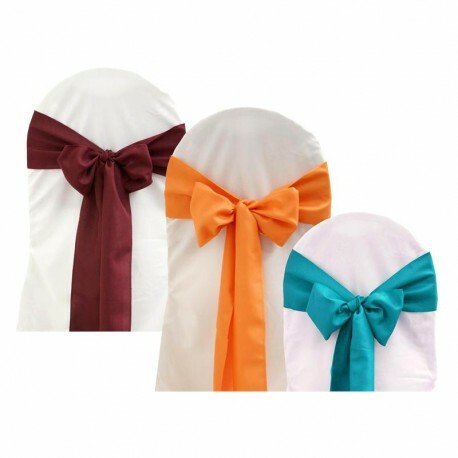 Dressing your chairs with these neatly woven and hemmed sashes will create a unique yet elegant atmosphere to accentuate how truly special your day is.